Space heaters are a popular choice when it comes to adding supplemental heat to your home or creating some warmth in a garage or workspace that would otherwise be too cold to use in the winter months. When you buy your space heater, it is important to know whether or not it will be energy efficient when you use it or if it will be a waste of money for one reason or another. Space heaters that are inadequate will result in a waste of energy as the heater will need to be turned on for longer and even then, it may still never heat the room. On the other hand, if the space heater is so powerful that you have to open the windows to let some air in, this may again be uneconomical and inefficient. Check out these reviews and our helpful buying guide so that you can find the most energy efficient space heater for your needs. 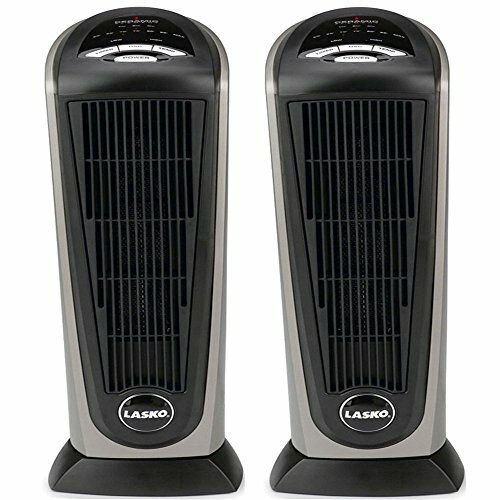 This unusual looking heater from Lasko will make a lasting impression on your guests. It’s crackled finish and unique design make it a great focal point in your home whilst the design and the oscillating feature means that this heater really will heat the entire room. The body of the heater is made of plastic and metal to create a lightweight but durable appliance. 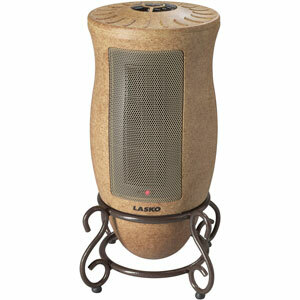 With 1500 watts of heat output, this is a powerful heater that will leave you feeling toasty and warm. It comes fully assembled too so that you don’t have to worry about having to put it together or losing any parts. In addition to looking great and offering good heat coverage throughout your room, this heater also offers plenty of safety features. Standing on 4 legs, this is a stable heater that will not be knocked over easily. It also has to overheat protection built in. If the heating element becomes too hot, or if the heater senses that the air around it is too hot, it will automatically shut off to protect the internal parts and the people and objects around it. The ceramic heating element is durable and effective for heating up. It is self-regulating too so you can have complete peace of mind when using this heater in your home. 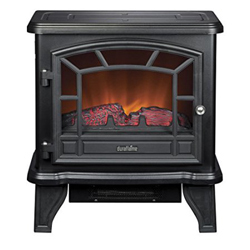 This is a 4600 Btu heater that can offer plenty of supplemental zoned heating in your home. It produces heat that is capable of warming up a room of up to 400 square feet. The heater features a cabinet style and closure, with our viewing door. Behind the viewing, the door is a realistic looking flame effect, which can be used with or without the heat function. The realistic flame also features glowing logs and an ember bed. This provides a Relaxing and warming visual piece in your room. The cabinet itself is made from Metal and has a fully operational door to the front. Despite the construction material, this heater will remain cool to the touch even when it is on full power. This makes it safer for your whole family including any pets that may live in your home. To guard against overheating, this heater comes with overheat protection. This means that it will turn itself off if it senses that the temperature has got too high. This means that it is safer for you as well as extending the lifespan of the product. 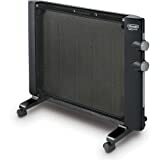 This unusual yet effective me care panel heater from DeLonghi Will give you instant heat with 1500 watts of power output. You will be able to enjoy completely quiet operation as well as a new and stylish way to heat your home. No matter what your current décor is, this heater is unlikely to look out of place despite its unusual heating method. It comes with a thermostat that is integrated into the heater. This allows you to select the operating temperature and switch between the two heat settings. The high settings ensure that you get a powerful 1500 Watt heat output whilst the lower setting is half power at 750 watts. This enables you to save energy when you don’t need as much heat in your room, which is perfect for those not-quite-winter months. This heater incorporates all the safety features that you might need including a thermal cut-off switch, tip overdetection, and indicator lights to warn you that the heater is on. Castors and a carry handle ensure that you will be able to move this heater around with ease. If you don’t need to use this heater as a portable and freestanding heater, you can add further safety by mounting it to a wall if you wish. This will also save space in your home. This portable infrared heater is a great choice when you want versatility and when you’re looking for a comfortable heating solution. As this heater uses radiant infrared heat, you’ll be able to enjoy a more natural feeling warmth, as well as energy efficient operation. This infrared heater won’t dry out the air like many other portable heaters can do. 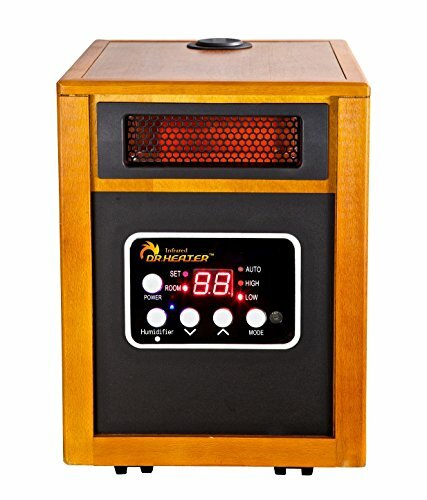 Where other heaters warm the air and simply dry out the moisture that’s in it, this Dr. Infrared Heater Portable Space Heater will simply warm up the objects that are in front of it. This leaves the air feeling more comfortable. Although the air may feel better, however, often the winter air can feel dry and uncomfortable. If you find that your sinuses feel dry and stuffy, you will be able to use the humidifier feature that is built into this heater to replenish some of the moisture in the air. This heater has a wooden casing and to the front, there is a digital display. This display and the accompanying controls allow you to get the most out of this heater by altering the settings to meet your requirements. In addition, there is a dual heating system included in this heater which makes it capable of heating larger rooms. This is a great portable and energy efficient heater when you want to save floor space and have an effective heater for your home. It is easy to use and requires no setup or assembly so that you can use it straight away. A button at the top of the heater allows you to turn it on with a simple press and a digital display allows you to see at a glance what temperature the unit is running at. You can also choose from low or high-speed settings to suit your needs and room size. To ensure that the heater disperses heat evenly around the room, it features an oscillating function. This allows the heater to send the warmth in all directions and not just straight ahead. You can turn the oscillating feature off if you like. Because this is a taller unit, you can also benefit from a taller stream of heat coming from the heater, which gives the feeling that the room is warming up even better. For safety, this heater has an overheat protection integrated into the design to allow it to cool if it becomes too warm or if the air around is too hot. This Lifesmart infrared radiant heater is perfect for warming up bigger spaces in your home or workplace. You’ll be surprised at how much heat it can produce and within minutes if switching it on, you could be enjoying comfortable and warming infrared rays. As this unit is remote controlled, you’ll be able to relax wherever you’re sitting or lying whilst you change the settings on this heater. You can also control the heater from the unit itself if you wish. The black or gray finish of the unit is stylish and neutral so you’ll be able to match it with your current décor. If you plan on sleeping with this heater on, you’ll be able to do so as it’s quiet in its operation however you should note that this heater is infrared and this means that the unit does produce some light when it is on. If you are disturbed at night by having lights on around you, this may not be the heater for you. An air filter is included with this heater and it is fully washable. It is also protected for life under warranty. The rest of the heater unit also comes with a 1-year warranty from the date of purchase. By choosing the right size of heater for your Home, as well as the right fuel type, it is possible to find a high-efficiency heater that will save you money every month on your energy bills. Electric heater – these heaters use the electric supply that you already have in your home. They could be integrated into your central heating system, or they could be used on their own. Kerosene heater – kerosene is a cheap fuel and it is a little safer to store than propane. Kerosene heaters can be incredibly powerful so they are popular amongst those who need heat in their workplace. Propane heater – propane is a very cheap fuel. Propane heaters can be used indoors or outdoors. 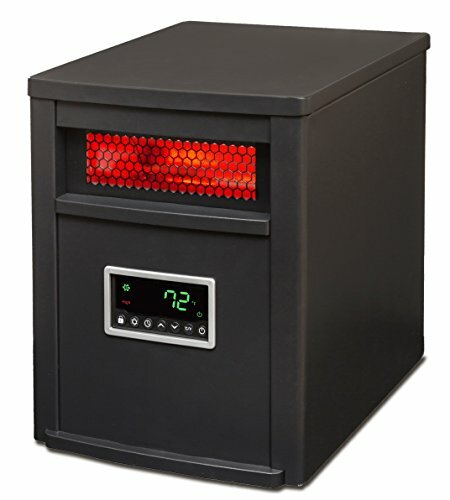 Pellet fuel heater – pellet fuel heaters are incredibly powerful and they can heat your entire home. The pallets themselves are cheap to purchase and the heaters generally tend to burn them efficiently. Oil filled heater – oil filled heaters are usually powered by your electric supply. They use convection currents and as a result, they stay warmer even after they’ve been turned off. Hydronic heater – hydronic heaters are warmed up by the main boiler that you have in your home. Hot water is passed from the boiler to the heater and this warms up the heating appliance. With so much choice when it comes to choosing an energy source for your home, you will be able to weigh up the costs of using each type of fuel with your heater. What Types Of Heaters Are Available? Just like the range of fuel choices that you can choose from, there are also a great variety of types of heater that you can choose. Hydronic and oil filled heaters tend to be flat with a wide surface area. They take a long time to heat up and as they use convective heating methods, it can take a while for their heat to be dispersed around the room. The great thing about these kinds of heaters, however, is that once they are turned off, they still retain heat for some time afterward. Propane heaters can be used inside or outside. If you do want to use propane heater inside, however, you will need to ensure that it is designed for safe indoor use before you purchase it. You should never use a propane heater that is designed for outdoor only use indoors. Propane heaters can use radiant, convective or fan forced heat depending on the kind of environments that you want to warm up. Patio heaters usually run on propane fuel. A kerosene heater will be capable of producing huge amounts of heat. 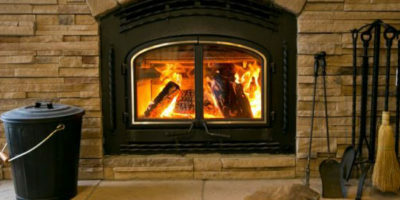 You can often find that they are sufficient to heat up your entire home with ease. You would also be able to use them to heat a garage or warehouse. You should ensure that you’re very careful when using one of these heaters however as they need to be well ventilated and you should ensure that you follow correct safety procedures. The first thing that you will need to do when you are looking for the most efficient heater for your home or workplace is to measure the space that you have to heat. If you buy a heater that is too powerful for the room that the heater is in, you’ll find yourself opening windows and doors to let some cold air in to regulate the temperature. On the other hand, if the heater is insufficient for the area that you have to heat, the heater will remain on for a longer period of time and may never heat the space enough to have a great impact. Once you know how much space you need to heat, you will need to look at the heaters that are available to you. Check how efficient they are by trying to figure out whether they will be large enough for your room. Once you have a shortlist of heaters, you will need to work out how much fuel you will need to use to power them. There is a simple calculation that you can find online to work out roughly how much fuel you will use whilst the heater is running. Make sure that the fuel type is available in your area and that it is available in an ample supply cheaply. The first thing that you will need to do in order to use efficiently your heating system is to decide whether you need all of your heaters on in your home simultaneously, or if you only need to heat one room. If you are only spending time in one room, for example, when getting ready for school or work, or if you’re relaxing in the evening, you could use a supplemental heat source and turn off your full central heating supply. This will ensure that you are only paying the energy bill to heat one room instead of having to heat up your entire home. You can set the heater to turn on or off at certain times of the day to coincide when you will be home and to conserve energy. When you set a room thermostat, it will measure the temperature of the room and will control your heating system depending on how warm or cool the room is. The programmer will allow you to not only set the temperature of the room or the timing of the heating system, but it will let you choose different temperatures throughout the day and different times throughout the week. This is especially useful if you are at home more on the weekends than you are during the week for example. These are fitted to your radiators and they can allow you to control the temperature of the radiator in each room. You could even turn off the radiators altogether if you wish. This is a very modern way of controlling the heating in your home. You will need to install an app on your mobile device and you can then control your heating at home wherever you are in the world. 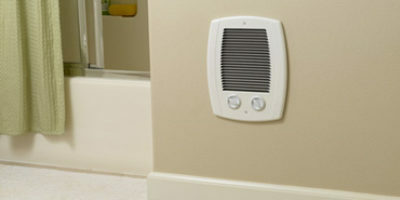 Room thermostats are still one of the most common ways of controlling space heaters throughout the home. If you’re unsure of how to get the most out of your heater, the best thing to do is set the thermostat to around 85 degrees Fahrenheit and then to increase it a little each day until you’re happy with the temperature. You should be sure to regularly check the thermostat to see that it is not being obstructed. The thermostat has a temperature sensor in it that works by detecting the temperature of the surrounding heat. If something is obstructing the thermostat, it won’t operate correctly and you could end up wasting energy. When you need to warm up a room a little more or if you simply want to heat up a small area of your home or workplace, you should consider using zone heating. This will involve getting a portable heater that suits your needs best and using that to provide heat for just one or two rooms instead of needing to have the entire central heating system on at once. You could also simply isolate the radiators at home that you don’t wish to use and just have the radiators on in the rooms that you are using. It is not enough that your heating system is powerful enough if your home itself is not energy efficient. You should check to see if there is adequate insulation in the walls and the roof of your home so that your home will keep the heat in. Another thing that you should do is consider installing double glazed windows if you only have single panes at present. Windows that only have one single pane will simply allow a lot of heat to escape whereas getting double glazed glass will mean that you can enjoy more consistent heating and a warmer home. 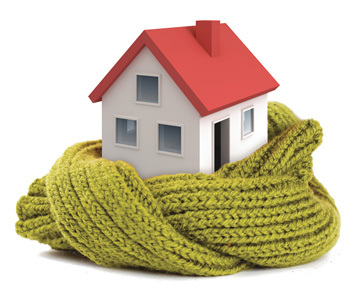 When you are planning your home’s heating schedule, you should think about when you need the heating to be on. When you are getting ready for work or school in the morning, you will predominantly want to spend time in the bathroom and perhaps the kitchen to get your breakfast. In the evening, you will spend more time in the living room and then, later on, you’ll want your bedroom to be toasty and warm when you go to bed. If you have adequate timer features around your home, you should be able to program all this in so that you can enjoy a well-heated home without wasting any heat or energy in the process. You should bear in mind that not all heaters are suitable for use in all areas. If you buy a kerosene heater, for example, you will find that it is dangerous to use these heaters in very confined spaces, such as a single room in your home with the doors and windows closed. If you wish to use an outdoor heater close to your home, you should make sure that it is not placed near any windows or doors. Even though the heater will be outside, it could still blow toxic gasses into your home. There are plenty of garage heater types available for construction sites, garages, and workshops. You should ensure that they are suitable for indoor use and check how they will be mounted. It is not a good idea to have a portable heater a workspace, as it may be knocked over easily. In these kinds of areas, it is a far better idea to choose a mounted heater for safety. You may also want to check the list of the most energy efficient air conditioners here! Energy efficient space heaters are just what you need to keep your home toasty and warm whilst saving money on your energy bills. With so many different space heaters to choose from, you will be spoilt for choice when it comes to finding the most energy efficient space heaters for your needs. We hope that our most efficient space heater reviews have inspired you with some great ideas when it comes to choosing the best space heater for your home or workplace. You will have hopefully been given some good advice in our buying guide too when it comes to choosing the best space heater for your home. Remember to consider all the important points when it comes to selecting your new heater, including the location, how much space you want to heat and the fuel type that you will be choosing for the heater. All these factors will help you to decide which heater will be the most efficient and economical one for your needs. What one wants to learn, is which heaters use the energized delivered to it dispersed as heat most efficiently and cheaply. Not which will do it safely. Its a given that its got to be safe. 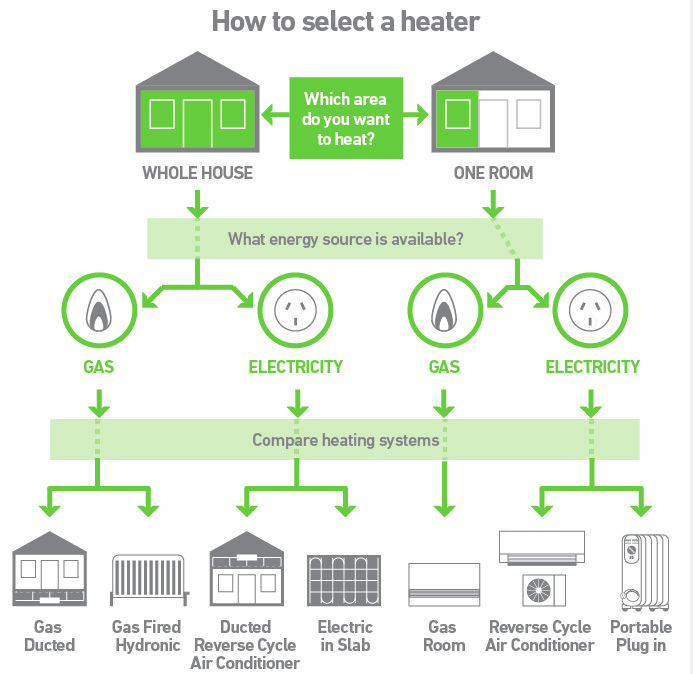 So, if one has 3 or 4 electric heaters rated at 750 -1500 watts, the question then is, which of the 4 will utilize the 1kw of power most efficiently in exchanging that energy into heat energy and dispersing it into the area desired to heat. If one can do it using 800 or 900 watts of energy versus the 1500 of the other, then one would want the first. Of course, along with that, can it turn itself off once it arrives at the desired heat for the area and if it can, how long does it normally stay off before coming back on. Of course that depends on the area and insulation level, but all things being equal, one would want the one that remains off the longest before coming back on. Because the longer the heater is on and the less efficiently it heats the more expensive it is. Electric heat is notoriously inefficient, because heat has to be used to turn water into steam, that in turn is turned into mechanical power, that in turn must be turned in to electric power, that the must be wheeled vast distances to the user, then stepped down to a usable level by the utility for the end user. All that costs money. Hence, electric heat is notoriously inefficient for heating…… what makes it somewhat affordable is that the system is already in place to exchange each pace for the next. And countries with no natural resources for petroleum must import it at great expense and corporations are also notorious for overcharging customers for any kind of combustible product. The US being relatively down on the scale of countries that pay for it.